Visiting either of our centres for the first time? As a new client, we would like to offer you a welcome pack. Register your pet and receive a free health check for your pet. Does your dog have a healthy heart? We are offering a FREE heart check up to all our canine patients from the age of 5, because we know how devastating heart disease can be. Our mission is to support and improve the health and quality of life of all our patients through exceptional quality of care. To provide our clients and patients a trained & experienced veterinary team, committed to providing exceptional care 24/7 for your pets for life. Educate our clients about the roles they play in keeping their pets healthy and happy. To support our staffs wellbeing and training to ensure our practice leads the community in both veterinary medicine and customer service. To place integrity and honesty at the heart of our service. "Always easy to get an appointment and to see the vet of my choice. The vets are very friendly and knowledgeable. The waiting room is clean and welcoming. I wouldn’t take my dog anywhere else." "I have used Runneymede vets for twenty years and am always happy to take my dogs to them. They also have an in house hospital and twenty four hour emergency care which comes in handy as my two boxers don’t seem to always adhere to normal hours when they have an emergency!" 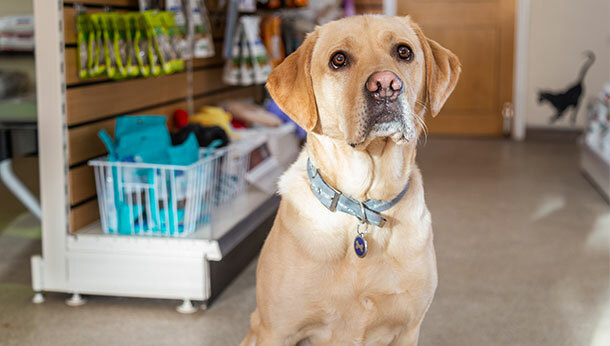 "We have recently adopted our lovely Barney from the Blue Cross. 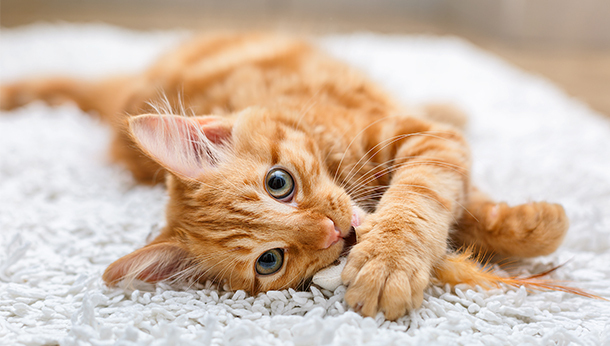 We considered a number of different vets in the area but settled on Pets 1st Runnymede Hill, and we’re glad we did. We have had overwhelming positive experiences with the reception staff, nurses and vets." 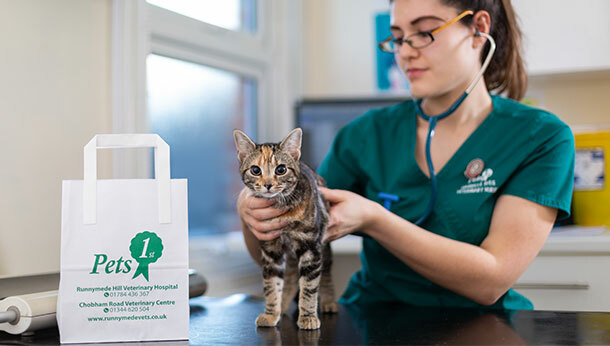 "Pets 1st Runnymede Hill have been so wonderfully kind and gentle with our pets and their help and professional diagnosis and prognosis, explained very carefully and clearly that we understood ,their after OP care was superb." "From the receptionist to the Vet you receive a 10/10 service, Andy & Alison are vets that make you feel that your pet is very safe hands. They are worth every penny." "Such a friendly, professional and convenient practice. I never have trouble getting a same day appointment, and the staff really care about our pets." "Thank you for looking after our many animals today and on other occasions! Also for persevering with a very grumpy Mittens today!"